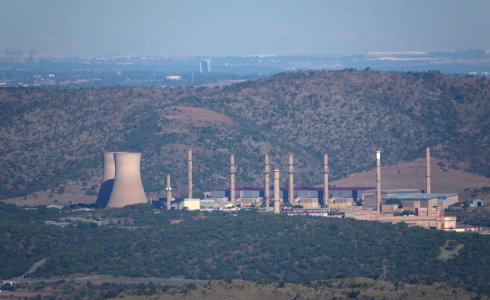 Pelindaba Enterprises (PEnt) is the commercial division of the South African Nuclear Energy Corporation of South Africa (Necsa), and only manufacturing organisation in Africa that has acquired the ASME III Nuclear Certification, specialising in heavy engineering and manufacturing of power generation components and the training of technical resources. Its goal is to strengthen South Africa’s skills base and help develop a nuclear and non-nuclear manufacturing capacity. Pelindaba Enterprises offers an extensive array of contract manufacturing capabilities and direct experience. We have a solution tailor-made for all your needs. Whether you are looking for basic component assembly or total turnkey production of complicated devices, integrating value-added services to make your product more cost-effective and or simply wishing to assure a timely supply of quality products. Contract manufacturing enables companies to reduce the level of investment in their own capabilities to manufacture while retaining a product produced to a high quality, at a reasonable price and delivered to a flexible schedule. Pelindaba Enterprises contract manufacturing services and products are developed in accordance with customer requirements and specifications. Our contract manufacturing expertise delivers complete turnkey solutions, starting with fine-tuning the clients’ specifications and envelope before proceeding to design engineering, tooling and fabrication, full-scale production, and final product assembly and delivery. Cost saving – potential and existing customers do not have to pay for specialised facilities and equipment required for production (cost of capital). Advanced skills – proven long-lasting relationships with raw material suppliers and manufacturing process and procedures. Quality – proven ad ISO certified quality systems are in place. Our experienced personnel ensure the highest quality levels. Focus – given Pelindaba Enterprises’ range of expertise, our customers get to focus on their core competencies and sales. The manufacturing and training facilities of Pelindaba Enterprises are situated on the Pelindaba site of Necsa in the Hartbeespoort area, west of Pretoria. Pelindaba Manufacturing, Pelindaba Engineering Services, Nesca Learning Academy and Pelindaba Consulting Services. Pelindaba aims to generate commercial revenue by optimising advanced engineering, manufacturing and training capability within the combined businesses. The business units making up Pelindaba Enterprises have been serving the nuclear industry and energy technology markets for decades. The technical expertise offered to customers delivers products and solutions in the nuclear market, and strengthen customer relationships.